Priyantha Sirisena, the brother of President Maithripala Sirisena, who was treated at a private hospital in Colombo after an axe attack died this morning at the age of 40. Priyantha, who is also known as “Weli Raju,” is a businessman predominantly engaged in sand mining. He is a younger brother of President Sirisena, who is currently on a four-day state visit to China. 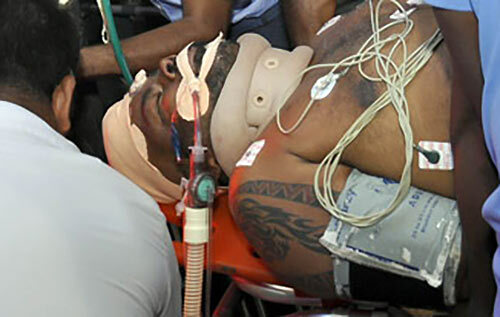 Priyantha Sirisena who was first rushed to the Polonnaruwa General hospital following the alleged attack was later airlifted to the private hospital in Colombo on 26 March.